To say mornings are busy is an understatement. You have places to go, people to see, and maybe even a gym to stop by, so be sure to give your body the fuel it needs for the day ahead with one of these easy and portable breakfast dishes. 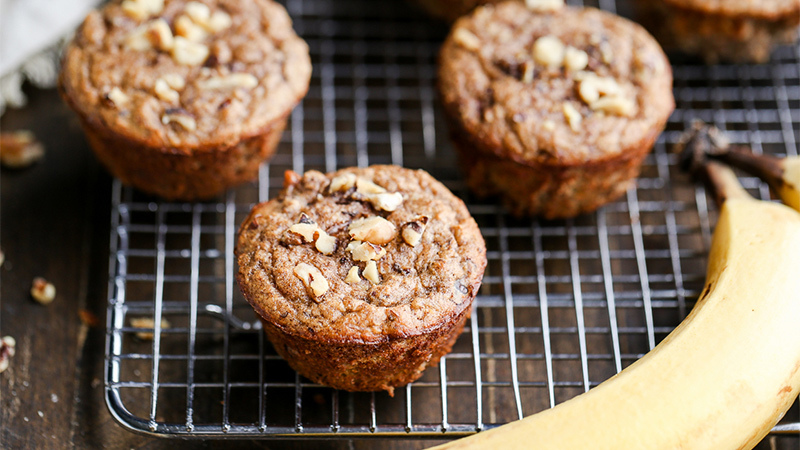 Classic, flavorful and packed with protein and vitamins, whole grain banana nut muffins are as much a treat as they are a nutritious meal. Make your favorite banana nut muffin recipe and freeze each muffin in an individual bag for longevity. Then, just pop it into the microwave for a minute before you hit the road in the morning. A quick and easy smoothie recipe is great for breakfast or a light snack. To make your own smoothie ahead of time, chop up two cups of fresh strawberries and mango into small chunks and freeze them. In the morning, empty one cup of vanilla Greek yogurt into your blender with the frozen fruit. Blend until mixed and empty into a travel cup. 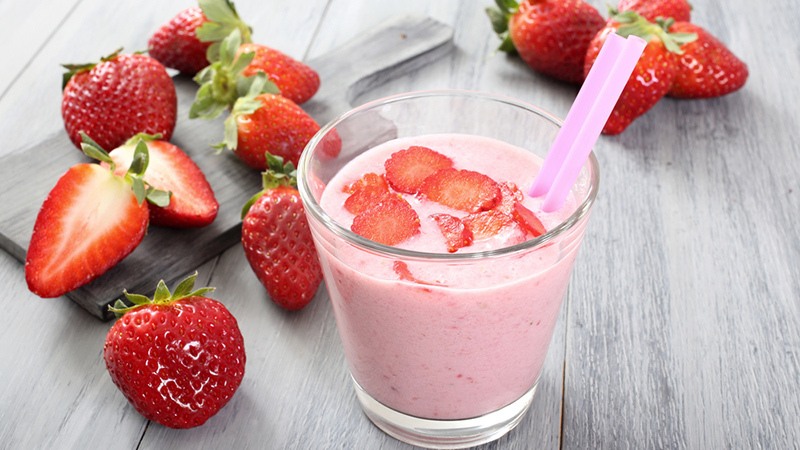 Try some breakfast smoothie recipes for yourself here. To get plenty of protein, just crack open a few eggs, whip them together with a dash of milk, and pour the mixture into paper cups in a muffin tray. Sprinkle with seasonings and mix in whetever vegetables and cheese you please. Bake at 350 for 25 minutes and reheat it in the morning. Featuring the earthy flavour of sweet, decadent dates, this granola takes inspiration from Eastern cuisine. Dana, the chef at Minimalist Baker, has a delicious Healthy 5-Ingredient Granola Bar recipe that is one of my favourites. 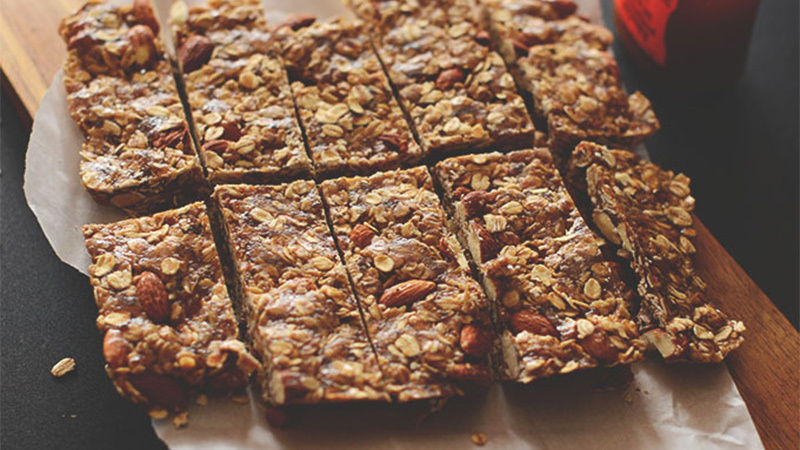 Peanut butter, dates, almonds, honey, and rolled oats, combine to create a sensational granola bar. Love healthy omelettes and breakfast sandwiches? 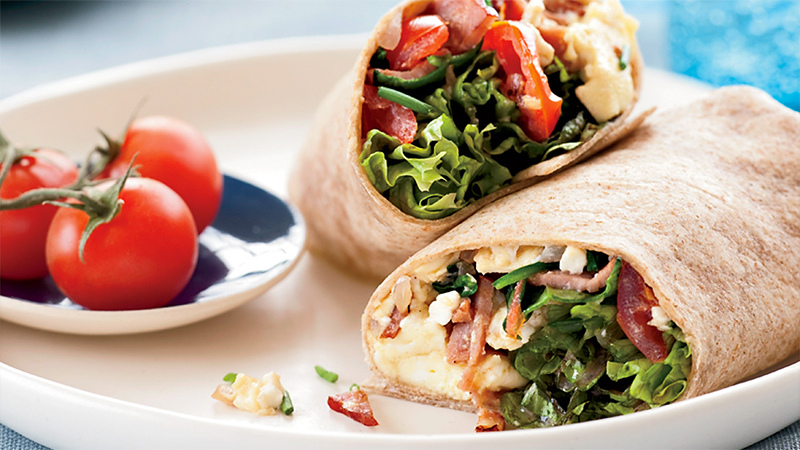 Make scrambled eggs ahead (and add veggies if you like) and then roll them up in a burrito in the morning. Wrap the burrito in foil and warm it up in the toaster oven. A burrito is much easier to eat on the go! Get the recipe here. 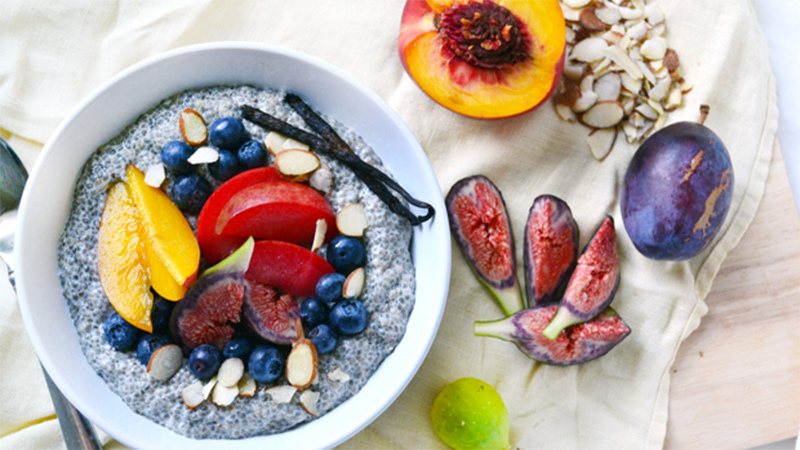 Soak chia seeds in almond milk to create a thick, creamy breakfast pudding. Sweeten with honey or maple syrup if you like, then top with your choice of fruit and nuts, and voila! Prep it in a jar or tupperware container the night before, so in the morning you can grab a spoon and head out the door. Recipe here. 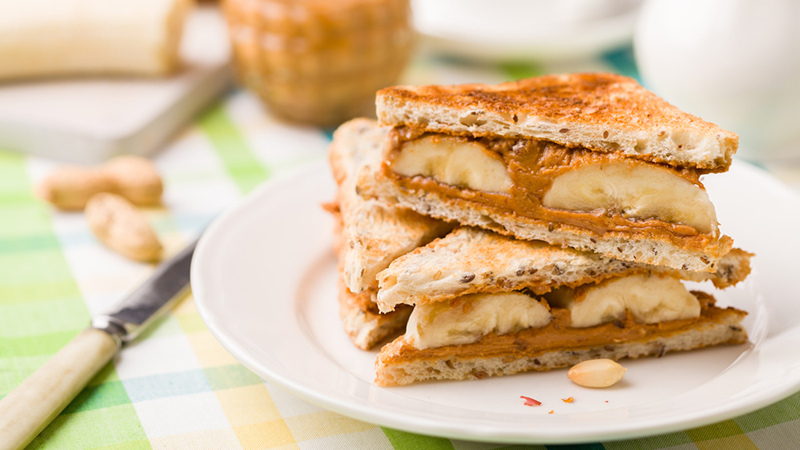 Enjoy all the nutrients of whole grain toast, plus the protein of yogurt or peanut butter slathered on top. To make the toast healthier and a little less messy for eating on the run, cover the peanut butter or yogurt with slices of fresh fruit like bananas or strawberries. 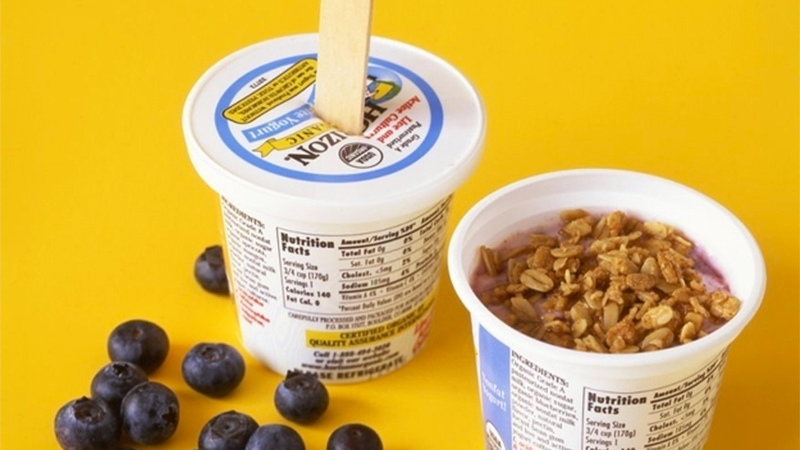 Count on Martha Start to transform a breakfast parfait into a portable popsicle. Just prep, freeze, and take with you on your way to the office. Recipe here. 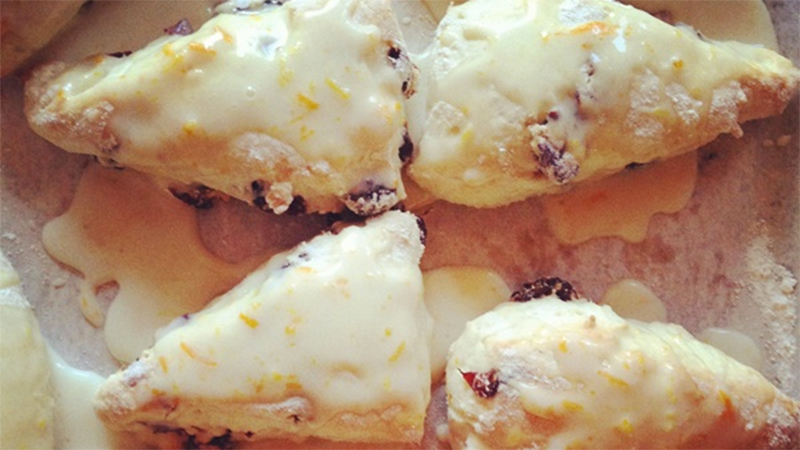 If a scone and a morning coffee are your deal breakers for going dairy-free, we have the perfect scone recipe for you. Godairyfree.org doesn’t cut out the delicious glaze in its recipe. 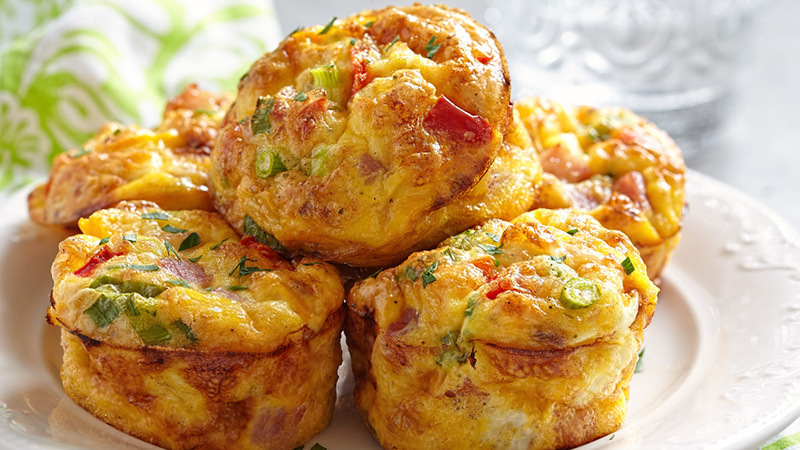 Serve them warm for a comfort-food breakfast. 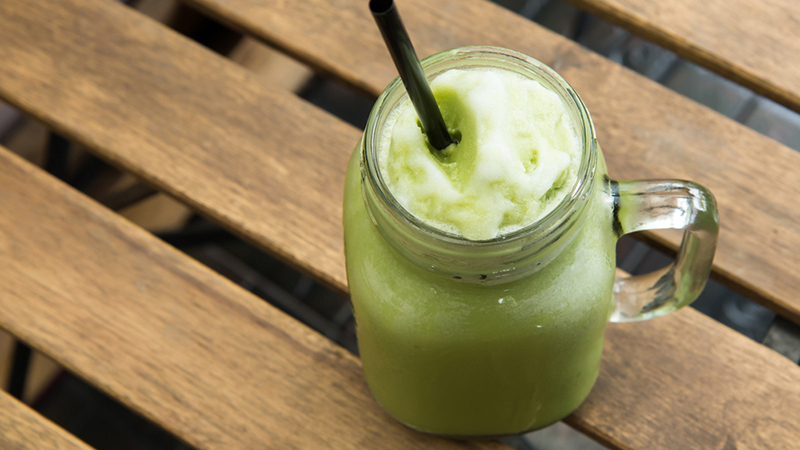 This super-green breakfast smoothie guarantees you start your day off right. After rinsing all fruits and veggies, add the kale, spinach and coconut milk or juice to a blender or Vitamix. Blend until smooth, then add the blueberries, tangerine/orange, bananas, and flax seeds. Top with honey for taste. Get the recipe.